Save time. Save money. Save heartache. This one-stop shop for self improvement combines the art and science of over thirty years of Dr. Tina Thomas’ experience as a Gestalt therapist to give you the tools to the “fire” of your personal problems rather than dealing with all the psychoanalytical smoke. This one-stop shop for self improvement combines the art and science of over thirty years of Dr. Tina Thomas’ experience as a Gestalt therapist to give you the tools to the “fire” of your personal problems rather than dealing with all the psychoanalytical smoke. Issues with work, goal achievement, anxiety, stress, depression, relationships? The Ultimate Edge gives you the edge in life by explaining how your brain creates the mental maps that initially protect you but ultimately can sabotage your life. You will learn how to change those mental maps so that, as far as your brain is concerned, you have an alternate past, which by default creates an alternate present and future, filled with liberating possibilities. Additionally, you will learn about the seven most misunderstood emotions and how to utilize them to your advantage. Finally, you will learn how to get your RAS in gear. The Reticular Activating System is a filter in the brain that, once activated, helps you to achieve your goals quickly and dynamically. 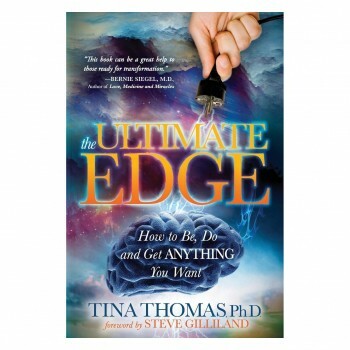 The Ultimate Edge is a guidebook to more peace, passion and power than you ever imagined! Note: Contact us about reduced shipping rates for larger quantities. 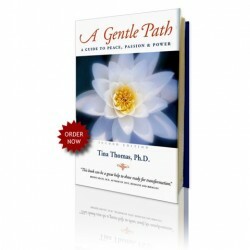 This groundbreaking guide from Tina Thomas, Ph.D. will help you harness your knowledge and inner resources to achieve your dreams. With A Gentle Path, no matter where you are starting the journey, you can discover peaceful, joyful, and elegantly simple ways of making your dreams come true.